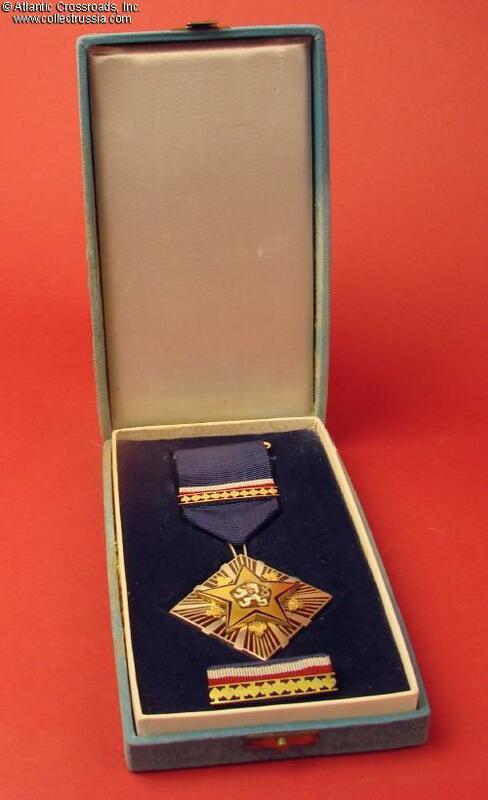 Czechoslovak Socialist Republic, Order of the Republic, Type 3, #701, with original case of issue and ribbon bar, circa late 1970s issue. The medallion is in silver gilt and enamels; measures 56.5 mm in height (not including the eyelet); 56.8 mm in width; overall weight incl. suspension is 53.4 grams. Riveted multi-piece construction. 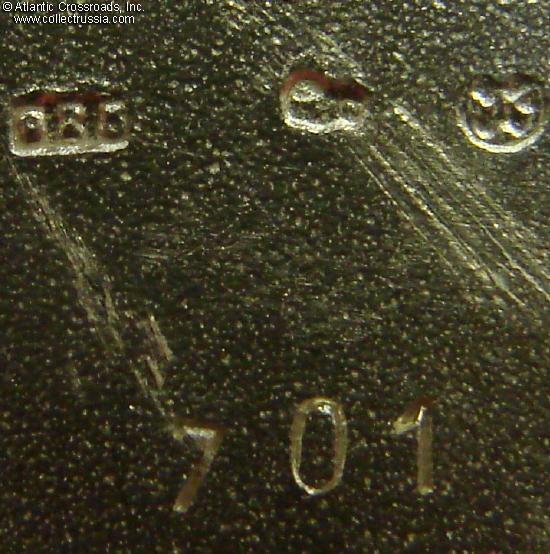 The reverse shows stamped serial number 701 and three hallmarks including Sterling silver hallmark "925". The order is in excellent condition. 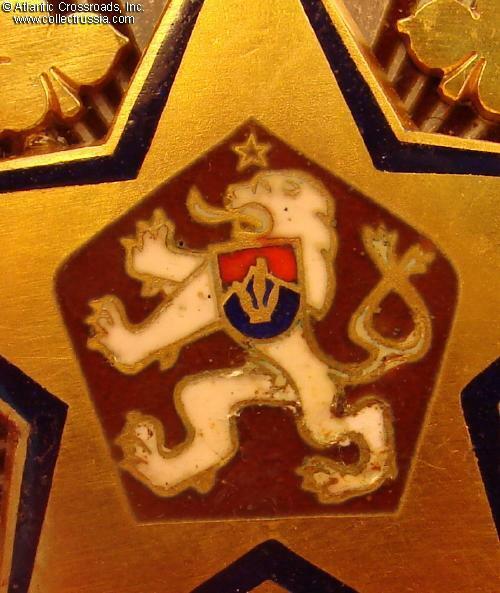 There are minor scuffs to the tips of the star but the enamel and gilt finish are beautifully preserved everywhere. The reverse is nearly pristine, with nicely defined stippling. Comes on original suspension ribbon which is perfectly clean and has fully functional clasp. 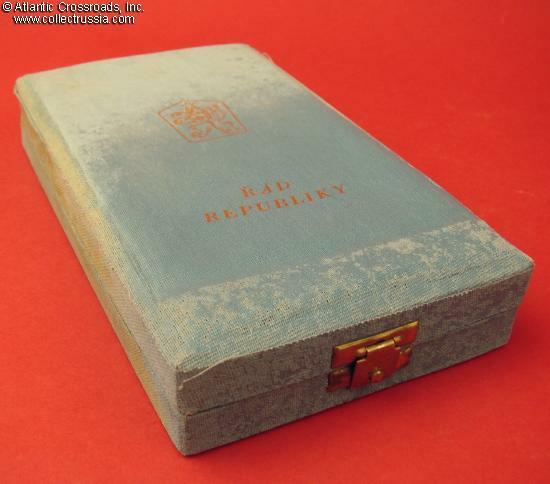 The order comes with original fitted case of issue measuring 9.5 x 17 x 3 cm. 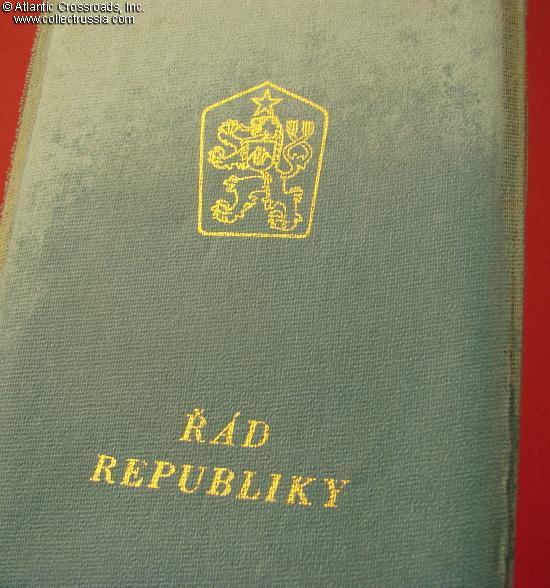 Wrapped in sky blue cloth with impressed gold state emblem of CzSSR and Czech inscription "Order of the Republic". 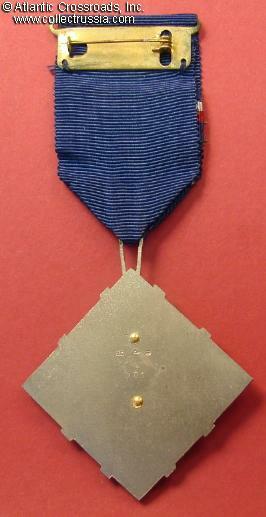 The box has attached paper tag on the back with the serial number of the award. The internal pad in blue velvet has a provision for the order. 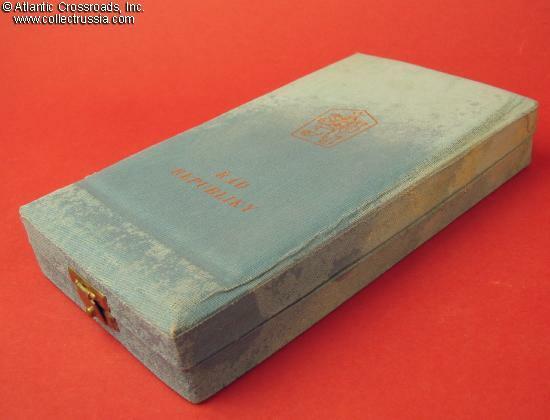 The case shows wear and discoloration to the exterior. There is minor amount of soiling and mildew to the edges and on the interior, not too detractive. The case is still very presentable, sound, and its lock is fully functional. 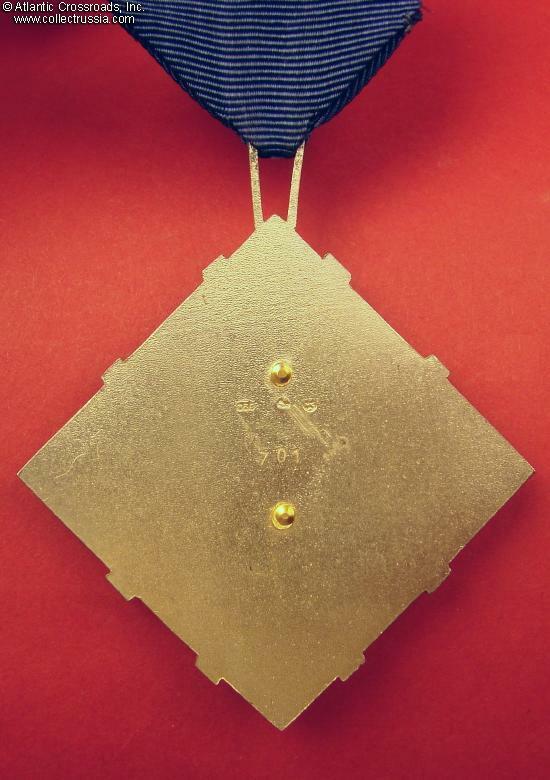 Also included is a separate ribbon bar with ornamental bar in silver gilt and pin back attachment. 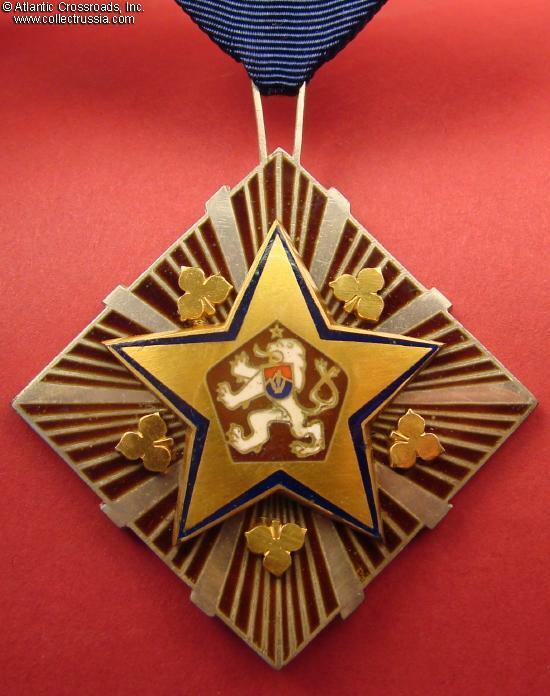 Originally established in 1951, the Order of the Republic was one of the highest and hardest to find decorations of Communist Czechoslovakia. 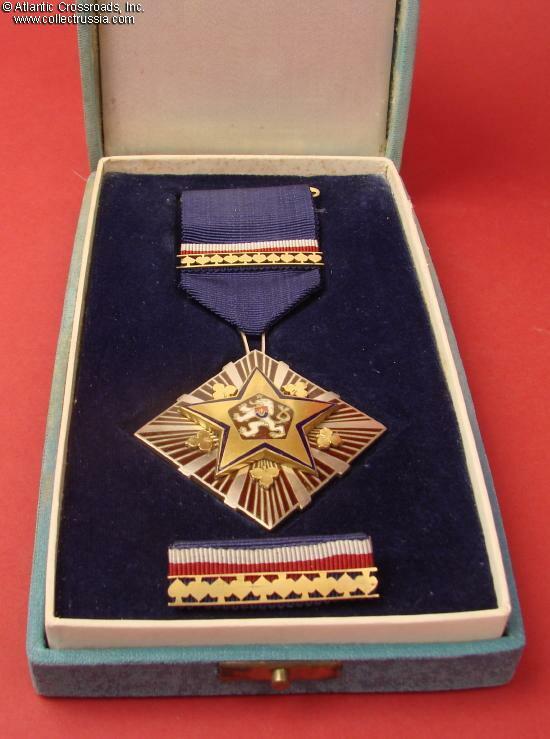 According to its statute, it was bestowed for exceptional achievements in promoting peace, contributing to industrial production or cultural or scientific activities, or increasing defense capabilities of the state. 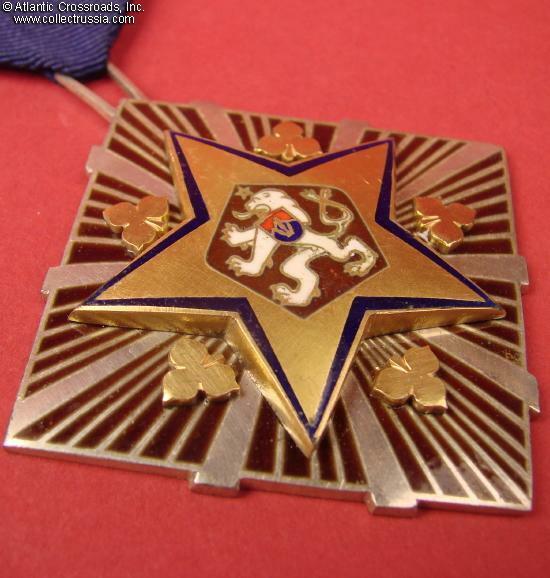 The decoration was completely redesigned in 1977 with its badge becoming much larger and more elaborate than the previous version. 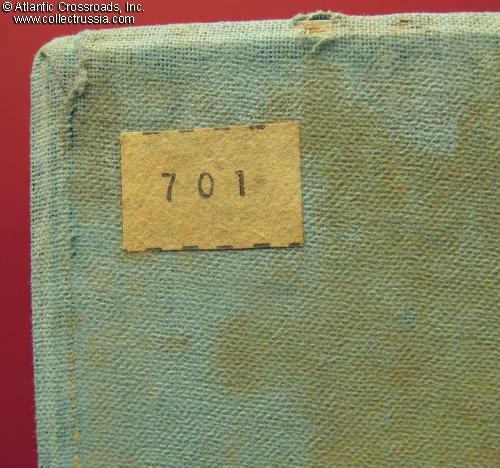 The numbering for the new type started from 693. Some of the new, Type 3 insignia were issued to VIPs in exchange for the earlier issues. 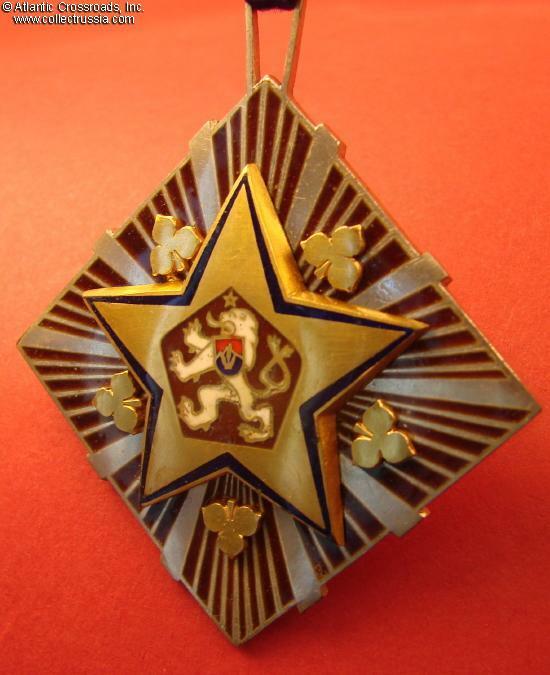 Among them was Gustáv Husák, President of Czechoslovakia and Secretary General of its Communist Party (de-facto supreme leader of the state) who received the badge with serial number 697. Another top leader, Jozef Lenárt (Prime Minister of Czechoslovak republic in 1963-68 and later, the First Secretary of the Communist Party) received the badge #700 - incidentally, just one digit apart from the badge we are offering. 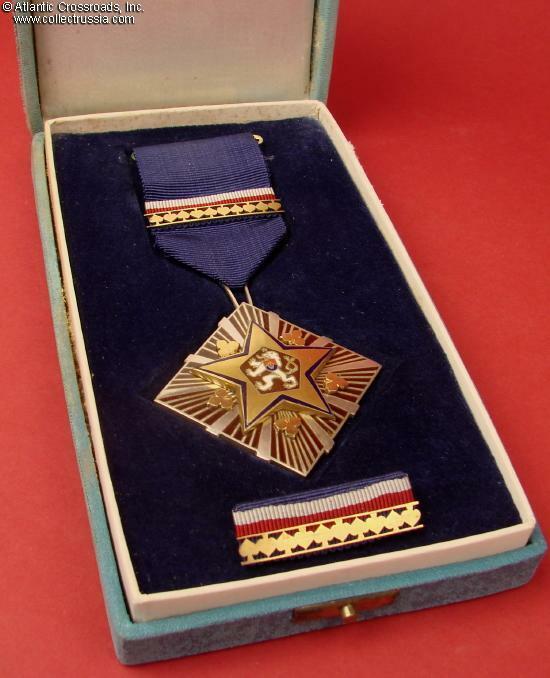 In total, only 171 of the Order of the State, Type 3 were ever awarded, with serial numbers from 693 through 863 (some 35 additional pieces with higher serial numbers were made but never awarded). This early specimen represents a truly unique opportunity to enrich even the most advanced collection of Eastern Bloc decorations.